Is Online Publishing Making us Narrower? "Iconoclasts do things differently. Really differently. In fact, neuroeconomist and Emory professor Gregory Berns believes that iconoclasts have distinctive neurochemistry that helps them notice more than others, avoid the fear response that keeps people from attempting "impossible" things and sell their ideas better to skeptics. Brain studies with fMRI devices are charting this territory and more. The consequences with reverberate through many fields, probably requiring some neuropolicy. Might we be able to read people's minds? Might we be able to affect decision making? Consider how this topic relates to Martin Lindstrom's upcoming book. Telling article about solving Captcha puzzles in India. The Virtual Reality Applications Center at Iowa State. " ... developing computer interfaces that integrate virtual environments, wireless networking, pervasive computing and emerging user interface devices to amplify the creativity and productivity of people ... " . We worked with them a number of times. Learn Aperture and shoot with a pro photographer at a national park. Here’s a contest you’ll want to enter. Submit one of your best photographs to win a chance to shoot side-by-side with a pro photographer in Olympic, Grand Tetons, Yosemite, or Yellowstone National Park. And learn from Apple-certified trainers how to use Aperture 2.1 to process, perfect, and promote all the great images you capture It’s all part of the Aperture Nature Photography Workshops..."
Recent posts reminded me of the Serious Games Institute. Check out their site and especially some of their research and case studies. They are also advertising the Serious Virtual Worlds Conference on Sept 11-12 in South Korea, wish that I could attend. I remain excited about the idea of using game-style solutions for collaboration, competition and problem solving. I have now seen many prototypes but I have not seen the details of too many completely successful games in business. They are all enticing and fun and may interest some for a while, but don't seem to have sticking power. To do them right they are also expensive to create. The related vision of serious virtual worlds also has a similar problem. Virtual worlds today are hard to strictly script, while games work best when focused to a problem. Combining the two for real business problems is where we have to go. Some time ago I was introduced to the Long Now Foundation, a group devoted to the implication of long time frames. It had slipped my mind for a few years (not a long time) but was happy to find out by happening on their blog, that they are still active. Check out their clock and library projects for an idea of what they are about. Update: I am out of touch, but have been told that the beloved of the tech-set author Neal Stephenson's, soon-to-be-released book: Anathem, was inspired by LNF's Clock project. A pre-criticism ... it is 960 pages and most of his books are thick. Do a favor to us that have other things to read and slim these down. I do look forward to reading it. More on the book in Wired.
" ...Gillette and EA Sports officials say the partnership will include joint retail promotions, print and TV advertising, and a heavy online presence. They say they're both targeting young men through sports and want to build their businesses in markets around the world ... "
Best Buy is trying a new retail channel -- the vending machine, of all things. The electronics retailer plans to place automated kiosks at airports across the country in an effort to reach customers while they're traveling. The machines will offer MP3 players, phone chargers and other smaller items ... "
I previously posted about Christian Renaud's Technology Intelligence Group. Now it's launched and there is lots more about it in new posts in the TIG blog. Includes introductions to several of the people that have written papers available via the group and who will provide ongoing expertise. Great start Christian! I will be linking to things of interest as they progress. Put it on your feed. Have been involved in game incentives recently so I thought this was interesting: On gaming in the Economist. Slim content and not much about serious games, but the side effects of gaming including more about the engagement effect. I have not been overly impressed with useful applications on the Iphone. Recently I downloaded Wikipanion, a free application that makes it a bit easier to search the WP from your Iphone. It was always possible to do this with the Iphone's Safari browser, but the text shows up very small, and you have to zoom in to read it at all. So the new app is a way to get to the text more quickly. As a knowledge junkie, who often finds himself looking up things remotely, this is good. The text is large, which some folks don't like, but it is easier to read. It has some minor glitches, in the process of being fixed. You also cannot edit articles or search for un-indexed words within article text. I also find myself doing inadvertent clicks. That's a fault with touch screens, but made more frequent by high WP link density. There is another application, iWik, for $0.99, that is similar. Update:In the latest update Wikipanion now allows you to control font size. Good BW case study on how Amex is looking at the knowledge of their work force. This kind of thing can be hard to sell because its value is not short term. More companies should design knowledge-transfer programs like the one being piloted at AmEx ... "
I mentioned some time I ago I was looking at the Business Objects package Xcelsius 2008. I am looking for easy ways to create dashboard style visualizations of data. I had worked with Business Objects before, pre their acquisition by SAP, but had not tried Xcelsius, which they had acquired around 2006. I downloaded their thirty day trial and went though the examples then tried some of my own spreadsheets. Good experience overall, I was able to construct several dashboards based on Excel spreadsheets. I was impressed by the sheer number of visualization forms available. It looks like you can get this to look exactly like you want. The results are implemented in flash and can be exported to, for example, PowerPoint. It is not drag and drop, though. I have done similar things with Tableau recently, and that was much easier to learn. Tableau, though is oriented toward analyzing and deriving existing databases, as opposed to mimicking the kind of interaction you might want from a spreadsheet analysis. It took me some time to figure out how to get the pieces working, my guess is that with a few days of training you will have it down. Some non-intuitive aspects of the interface were irriating. I used the basic 'present' version and exported to PDFs and Powerpoints. The result was an interactive dashboard that worked as expected. It worked well with basic spreadsheets, but not with some of my own advanced Excel examples that had interlinked sheets. It also seemed to have some scale problems with larger examples. Overall good, definitely a buy for rapidly setting up dashboards if you are already using Business Objects and have existing, non-complex Excel sheets to translate. I see that Google Suggest will be rolling out as a default tool in the coming weeks. More on the Google Blog. I have experimented with it, and the AI driven capability does have an uncanny way of guessing your intentions. Scary also perhaps. Most people are used to repetitive searching to narrow down a query, so this could even slow you down if you take that approach.
" ... Some of us feel that cloud computing may very well be The Next Big Thing - one of those massive changes that the IT industry goes through from time to time that really shake things up - like the advent of personal computers in the 1980s and the Web in the next decade. Others - a minority in this meeting - feel that this is the IT industry engaged in one of its periodic hype cycles ... "
Steve King examines a NYT column on the role that social media plays in culture. I remember when gigabytes sounded strange. Browsing in my local Microcenter yesterday I noted very cheap Terabyte external drives. Petabytes are now also here. Wal-Mart is planning for a four Petabyte Database. Exabytes are next. Followed by Zetta- and Yotta- bytes. Soldiers of Reason: The RAND Corporation and the Rise of the American Empire., by Alex Abella. His blog. First book I have read on the history of the RAND Corporation. RAND was one of the first think tanks to use what was called 'operational analysis', combining it with another development called 'systems analysis' which was developed in WWII to optimize everything from arms delivery to management decisions. Eisenhower was reportedly referring to RAND when he warned of the military-industrial complex. The techniques are now called Operations Research and Management Systems. George Dantzig used RAND's Johnniac computer to develop operations research's primal tool: linear programming. These techniques are what I worked with for many years after leaving grad school. I arrived at my desk being given a number of systems to adapt that had been written back in the 60s, developed under the RAND analysis influence. Previously about my experiences here.
" ... The great dangers inherent in the systems analysis approach, however, are the factors which we aren't yet in a position to treat quantitatively tend to be omitted from serious consideration. Even some factors that we can be quantitative about are omitted because of limits on the complexity of structure we have learned to handle. Finally a systems analysis is fairly rigid ... frequently the question has changed or disappeared by the time the analysis is finished... (p. 62)". The first part of this statement is still very true. The problem mentioned in the last sentence has been helped much by computing power, software and user interfaces. Most of the book covers how RAND influenced US nuclear strategy. Some of this reminds you directly of the movie Dr. Strangelove, not surprising since characters in the movie were modeled after people at RAND. Also, the book follows the career of Albert Wohlstetter, RAND consultant who worked with US administrations from the early 50s to the current one. Wohlstetter had a very radical past, yet held top security clearances during that whole time and became a principal architect of US nuclear policy. I recall my own security clearance being delayed merely by my foreign birth, so this is unusual indeed. More here. Very good book if you are interested in the history of problem solving and RAND itself. Method for collecting energy from asphalt pavements. Eric Athas writes about tag driven messaging being tested by Metro Extra in Germany and beyond in collaboration with P&G. The basic idea is simple, and fairly old. If a consumer approaches or touches a product, a display near the product changes to pitch the product or a related offering. This does not have to be tag based, something as simple as a motion sensor has been tested in the past. An example of this was in operation with Shampoos in 2003 when we visited Metro's Extra 'future store'. (see picture) It was quite effective. This test takes it beyond the public future store. There is an inherent spookiness in such systems, and their copy and sensitivity has to be carefully designed. Mentioned in the WSJ, link in article. Identity and Control: How Social Formations Emerge (Second Edition) by Harrison C. White. You can search inside the original edition. I am warned that this book is dense and full of 'social theory', which makes my engineering brain wince. Nevertheless, here it is. An overview of five mash-up tools that is worth a look. The only one I have looked at is Pipes. I did lots of coding years ago. Now mostly have others do it for me. It would be great to deliver my own problem solving capabilities without having to hire programmers. And there is lots I can do today with new interfaces that I could not do previously. Still, the methods proposed are not for the faint of heart, though I like the direction. 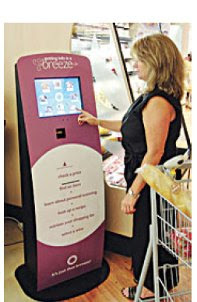 Self-service kiosk activity is increasing. In the current Sciam, an article RFID Tag - You're It, by tagging alarmist Katherine Albrecht. Not a bad description of the breadth of tagging applications today, but not a mention of the value of RFID applications for making supply chains more efficient, saving you money. Scientific American strengthens it's anti-industry slant. Ironic since the early Sciam was industry oriented. Then it evolved into good science writing. Now it's politically correct pop-sci. I just cancelled my subscription after thirty years. Promisec has issued an internal security threat encyclopedia. Nicely done. Several of the top 5 security threats are applications I use.
" ... makes me wonder whether P&G isn’t deliberately stealing a page from the indie-film marketing playbook. First, work hard to generate some buzz and groundswell. Then, air commercials as if you’re shocked by the early “spontaneous” buzz: “Gosh really, our little brand? How nice of everyone to notice. We really weren’t expecting this, are we blushing?” ... "
' ... Google, the leading online advertiser, stated that it has begun using Internet tracking technology that enables it to more precisely follow Web-surfing behavior across affiliated sites. The revelations came in response to a bipartisan inquiry of how more than 30 Internet companies might have gathered data to target customers. Some privacy advocates and lawmakers said the disclosures help build a case for an overarching online-privacy law. "Increasingly, there are no limits technologically as to what a company can do in terms of collecting information . . . and then selling it as a commodity to other providers," said committee member Edward J. Markey (D-Mass. ), who created the Privacy Caucus 12 years ago. "Our responsibility is to make sure that we create a law that, regardless of the technology, includes a set of legal guarantees that consumers have with respect to their information." ... '. I see that Microsoft's Photosynth has launched after two years of being previewed. A method to create multiple dimension spaces from overlapping photos. Looked at it briefly as a means of capturing views of retail environments. Check it out here, though the announcements have overwhelmed the site. An impressive video demo from the TED conference. See also their team blog. A number of well known retailers are selling to teens in virtual worlds. In StorefrontBackTalk. Andrea Saveri of IFTF writes. Instigated by Jane McGonigal, their resident game designer. I have not tried this yet, but looks to be a good example of a 'serious' game. Here is the announcement on FutureNow, here are the FAQs ... a post about it from the Alternate Reality Game Network blog. Good overview about questions to ask before telecommuting. I mentioned the ALIPR image tagging project before. Have had the opportunity to take a further look at James Z. Wang's image group at PSU: " ... Research interests of this group include automatic image tagging / learning-based linguistic indexing of images, semantics-sensitive image retrieval, image security, biomedical informatics, computational aesthetics, story picturing, art image analysis and retrieval, and computer vision ... " . Impressive directions. The site, linked to above, is particularly rich in relevant detail and links.
" ... SmithBayes is a software firm that has taken the sophisticated decision technology used in Formula 1 to underpin race strategy. Our decision platform enables decision-makers to map out their options, determine optimal paths and recalibrate strategy as real-world events unfold. By responding intelligently to change our clients have the edge'. Our product has been derived from a one-off technology transfer of the McLaren Race Strategy technology and enhanced to meet the needs of corporate decision makers. 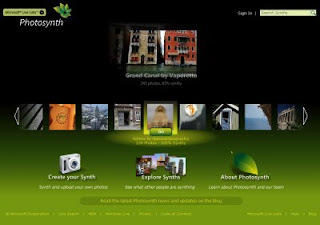 Our focus is to deliver software that is easy to use and visually appealing. Our driving principle is that strategic decisions are complicated and inherently uncertain. This uncertainty can come from changes in the market, technology, or the actions of competitors or regulators. The decisions are often significant bets in terms of investment or competitive position - yet they still have to be made ... "
They don't provide much detail in their website about how the racing strategy actually drives the business decision process, except that they show many screens that are apparently outputs from simulations. Many of their examples are portfolio, market investment and analysis. Some emphasis in what-if simulation and visualization. Clients in Aerospace, Engineering, Energy, Financial Markets, Government, Healthcare, Media, Telecoms. Nothing specific in CPG or retail. Worth further examination and a chat with them. E-Commerce Times has a basic article on the increasing use of RFID for tracking, identification and payment. Also some descriptions of the varying levels of security by different systems. 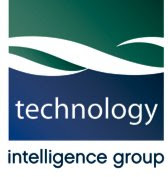 Christian Renaud, who I worked with while he was at Cisco, has formed the Technology Intelligence Group (TIG). Christian is very well known for his promotion of virtual worlds for real world applications. The TIG goes far beyond that, seeking to bring together a number of experts on many new and emerging technologies. Each will cover their areas of expertise with white papers that explain the field as well as provide deep dives in specific areas. You can get a good idea about who is involved by checking out their blog in the link above. Impressive list so far. Much more to be released in the coming weeks.
" ... One needs all three [kinds of curves] because they are all different aspects of the same underlying phenomenon, namely the human approach/aversion to novelty. Just as one uses different map projections for different classes of mapping tasks, one should always have multiple models to apply as needed to different kinds of innovation questions. 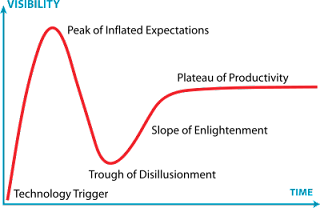 Thus, the Hype Cycle is Gartner's original and creative application of Ev Rogers' diffusion theory to understanding market behaviors. The Long Tail is Chris Anderson's elegant reminder that there is plenty of life (and profit) in the old and invisible as well as in the shiny and new. By the way, there is a fine book on the Hype Cycle due out from Harvard Business School Press in the near future. Having read the draft of a portion of it, I can recommend it with enthusiasm... "
Fraunhofer Institutes's intelligent scales. 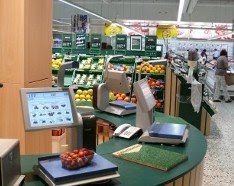 Not a new idea, we saw IBM's Veggie Vision at a Metro Extra Store as far back as 2001. The idea is to have a camera on a scale that can recognize at least the category of a piece of produce and ring up the proper cost based on weight. Some human interaction needed for recognizing similar types. The Fraunhofer example seems to have closer links to a vendor, Mettler-Toledo. They are being tested in 300 stores throughout Europe. More here. Yahoo/MediaVest Study: Sponsored Text Ads Increased Awareness 160% ..." . Some good details by category. Have mentioned Martin Lindstrom, Brand Futurist, a number of times in this blog. I read his book Brand Sense last year and it links well to a question I have have posed at innovation center meetings: 'How do we get marketing and merchandising to use all of the human senses to make their case?' Just covered the part of his site that contains a number of useful and free articles on the subject which extend his book, well worth examining. 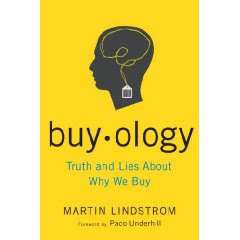 He has a new book to be released on October 21: Buyology: Truth and Lies About Why We Buy, which looks to take this to yet another level. The Google mobile translate service is now available on the Iphone. Still no Babel Fish, but the right direction. Anthropology blog posts on the rehabilitation of brands with previously very stale reputations. 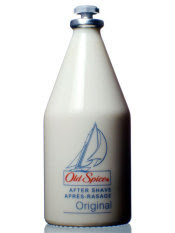 Classic 'Old Spice' is used as an example. I always thought that they had to remove the 'Old' word to make this work. I was wrong. They did ditch the sailor ditty. The current ads for this old spice are very quirky and don't appeal to me at all. Though they have apparently attracted the male youth market. In an earlier day it was considered a joke for males to put on anything that had an aroma. Neurons have been re-reprogrammed. Sven Birkerts wrote the pre-web book (excerpt) on the future of the literary tradition: The Gutenberg Elegies: The Fate of Reading in an Electronic Age. He debates a number of recent authors on the topic. Why Free Software has Poor Usability, interesting post. The outcome is obvious, the reasons why are not and worth thinking about. Still there is more 'open source' out there, and it is useful examining the option when contemplating a new problem. Sometimes it does suffice. It also opens new capabilities to experimenters who do not have enterprise pocketbooks behind them. It can make the average person, and their computing power more generative, leading to more innovation. Evan Schuman posts more on the read range of Gen2 RFID tags. As I have mentioned before, the read range of tags has been a key component of how private the use of such tags on items or take home 'cases' can be. Early on, when I gave talks about the technology, tags that were proposed for public use were rated in the few cm range, this was then extended to ten feet and improvements in readers now seem to have extended this to up to forty feet. Read the linked-to piecs in Evan's post above for more details. A very big deal. I also note that the Spychips watchdog site and its blog are now rarely updated.
" ... Welcome to EnglishCafé, the premiere English learning community for the global professional. It is an evolving culture of English learners and experts, where people help each other navigate our rapidly changing world through use of a common language. Like the best Cafés around the world, EnglishCafé is an enclave for vibrant and respectful exchange of knowledge, ideas and entertainment. We value the diversity of people, the unique experiences they bring, and the cultures from which their voices rise. English does not belong to any group of people. English is a language that is malleable enough for the entire world to use. For this reason, we can learn from each other and about each other through this language. We can indeed advance our careers with English knowledge and make ourselves more marketable in the global economy. It is with a spirit of openness and desire to understand that we built EnglishCafé. We invite you to come in, gain or share knowledge, and join in a world-wide conversation about words and culture ... "
An unusually detailed USA Today article on the traceability problem.
" ... as more journals and articles came online, the actual number of them cited in research decreased, and those that were cited tended to be of more recent vintage. This proved true for virtually all fields of science ... Moreover, the easy online availability of sources has channeled researcher attention from the periphery to the core—to the most high-status journals. In short, searching online is more efficient, and hyperlinks quickly put researchers in touch with prevailing opinion, but they may also accelerate consensus and narrow the range of findings and ideas grappled with by scholars ... "
Andy Oram post on the state of copyright law. Have been following Business Objects, now part of SAP, for some time. I see that they have released a package called Xcelsius Present, which takes Excel spreadsheets and creates an interactive Flash presentation. Trial version available. Aways looking for ways to do rapid visualization and distribution of a data analysis. Will take a closer look and follow with a review here. Sammy Haroon posts about global education. Finland as a model of knowledge creation. The mall of universities in Dubai. TreoSystems is a company we worked with at the innovation center. They specialize in location systems delivered in a number of ways, including kiosks and smart phones. At the right is an example of their implementation at a Food Lion - Bloom store in a multipurpose kiosk. They do location very well, check out their site for more information.
" ... TreoSystems delivers item location and wayfinding software solutions to help retailers drive more sales by enhancing every customer's shopping experience, starting with our innovative iPAL Product Locator system. We combine customer-centric approaches with new technologies to help our clients provide the highest levels of service while maximizing store efficiency ... "
Once you have the consumer looks for an item, they are also at a virtual moment-of-truth, and can be linked to information about what they are seeking or targeted with effective on-screen ads for the product or for related items. 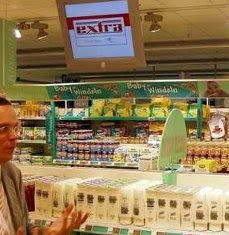 They also integrate shopping lists with the location of items in the store. The worldwide PhotoWalk, coming soon to a city hear you. It is being held in 236 cities worldwide. Nice idea, join in on August 23. Another interesting play in retail and enterprise analytics. I have worked with both of these companies for analytical applications in the past. In 2006 JDA bought Manugistics, also an analytical player we used at the time. Update: More commentary. A colleague sends the below BBC link, which looks at the broad idea of open source design. I understand Pamoyo is not a major fashion house, and they have not done very much yet, but the example is interesting because the fashion world is known to closely hold their designs. Fashions, of course are fleeting, so it is hard to get profit from designs. Pamoyo says this is a start in attempting to encourage consumer generated clothing design. 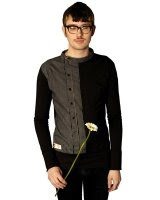 The first design on offer is a shirt from a new Styled With Heart range A German fashion label has taken the unusual step of making its designs and patterns freely available on the internet - for anyone to use ... "
A Microsoft look at Small Worlds. The WSJ Numbers Guy responds, I think more clearly. The MS work is good, but no proof. I have been exploring the current state of the DVR and the kind of behavioral data that could be captured from it. There is an article in today's Ad Age: Ad Skipping? Just Wait. It's Going to Get Worse, which speaks to recent legal rulings and how they might cause the broader the use of DVRs. And also with regard to how ads can be skipped. I was an early user of the Tivo and was very enthusiastic about it until a lightning surge disabled mine. I then went to Time Warner's box. Recently they downloaded a new 'improved' operating system that would allow stronger interaction, but also caused most every simple function to work at half speed. They have also removed the ability to do 'large jumps' when doing a fast forward. So I cannot get to the middle of a movie quickly. I would imagine that kind of feature change alone would alter much of their behavioral click stream data. Classic example of a change in context invalidating much historic data. About 23% of US homes now have DVRs and and it is expected that this will rise to 37% by 2012. 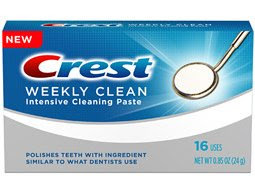 P&G's Crest is seeking a new catch phrase for it's 'Whitening Expressions' via YouTube. Good piece on the use of social networking capabilities within firewalls. Enterprises are continuing to search for ways to make their employees aware of resources to make their work more efficient and lead to improved communication and innovation. New employees are arriving familiar with social networking, so why not build on those skills? 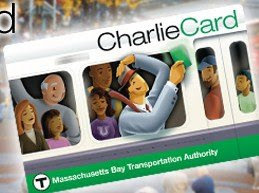 Much in the tech news about the apparently successful hack of the Boston transit system's MiFare charging system. A talk in Las Vegas outlining the approach was blocked by a temporary restraining order. Wired has much detail, and from a follow-up press conference. Hacking is being equated to free speech. Potentially very dangerous hacking in the hands of terrorists. Nearly all the commenters believe that this is perfectly normal behavior that should be at most smiled at. I know the arguments about this ultimately making the system more secure. Maybe, uncertainly, but in the short term it is a dangerous crime. Classification or decision trees are a method to deliver decisions by making choices progressing through a set of predefined paths in the form of a tree . Expert systems can be constructed from extracting rules from experts. They can also be constructed statistically by taking a number of examples and using them to build a system that makes decisions as consistent as possible with the examples provided. As part of our AI development system, meant to be used by internal analysts to construct expertise-based systems, we included a system that used data and made rules. In general, a classification system is one that produces a discrete value and a regression tree produces continuous values. This is a simple form of machine learning. The Wikipedia has a nice overview. Here is a good survey of software that does this. Considerable work is being done to determine how computers can be more closely tied to human needs. Although much has been done, they are still loose amalgams of powerful tools that can be used to solve a problem. But like a carpenters toolbox, training is needed to both use individual tool, and even more training is needed to effectively use them all together. SasCom Magazine gives links to a number of blogs covering Business Intelligence topics. Google Maps and Earth have added a number of updated features and satellite images for the Beijing Olympic Games. Bluetooth has not yet emerged as a marketing vehicle in the U.S., but Coca-Cola is counting on the short-range wireless technology to power a far-flung mobile campaign in Beijing during the Summer Olympics ... "
" ... a system that finds and organizes stories and opinion related to topics, people, products and companies ... focused on market intelligence ... the intelligence engine uses a combination of static terms and story indicators to mine the blogosphere, collecting stories in which the author describes emotionally compelling situations related to that topic ... "
Fascinating notion, need to see how it works live. Does not appear to be available online, so have not been able to try it. Second City is not the only troupe that is doing corporate work. RADA (The Royal Academy of Dramatic Art) also does this kind of training. We attended their team building session in London a few years ago. Our experiences gave new meaning to the phrase 'trained at the royal academy'. :) RADA has no intelligence engine to my knowledge. Carr updates some of his resources and reactions to his 'Is Google Making us Stupid' essay. I agree that things are changing, we are reading differently, learning differently, but I don't think the outcome is as dire as he suggests. Time to adapt. It has been around for some time, but a colleague reminded me of Google Insights. Where you can get information about how many people are searching for what and where they are. Nicely done interface. You can also readily export the data for further analysis and merging with other data. I have been a computer assisted road-warrior for as long as that has been possible. I used to carry a little wiring kit that allowed me to use an analog phone's connection so I could link it to my modem. That often meant crawling under a hotel bed in rural Pennsylvania to find the wall connection. I always returned the wiring to its original state. Even dragged around 'luggable' computers, lifting them into the overheads and hoping for the best. One of those computers now sits in the archives, a bit incongruously labeled as our 'first laptop'. Another revolution occurred in the early days of the Blackberry. A test was started with the executives to see if we could replace their travel machines with Blackberries. Of course that did not work, almost every one now had to have at least two devices, and sometimes more. The IT group was not pleased with the increased budget and support needs. Not long afterward most everyone had to have a Blackberry. A similar thing happened with cell phones, though now we started to see stronger multi tasking between phone and computing device. Are we on the cusp of seeing the Blackberry and IPhone style devices become the primary computing device for most everyone? This article discusses that. Still think there is a size issue. I want a sportscar with a really roomy interior. If we could only be able to dock them readily in a commonly available standard display or projector, it has a chance.
" ... Surprisingly, until recently scientists have largely ignored the insights into perception and cognition offered by magic. It turns out that understanding why magic tricks work may help both neuroscientists and even marketers ... "
A look at the original article in the Boston Globe:How magicians control your mind ... " Magic isn't just a bag of tricks - it's a finely-tuned technology for shaping what we see. Now researchers are extracting its lessons ... " ... is worthwhile. It also reminds me of one of Arthur C. Clarke's 3 laws of prediction -- "Any sufficiently advanced technology is indistinguishable from magic". --Though this is not technology but knowledge about mental processes. How these folk learnings might ultimately be applicable to domains like marketing is still an open question. Having some trouble with messages dinged back to me by spam filters. How many more are ending up unread in spam buckets? This article is a good overview, but does not solve my problem.
" ... ShoppingTrip 360, a hosted software application that can track shoppers and inventory, using wireless sensors placed on shelving, promotional displays, and shopping carts. The sensors, which use the 802.15.4 wireless protocol to connect to each other in a mesh network, can send information such as where shoppers stop in a store, what products they pick up, what they put back, what they put in their cart, and whether a product is out of stock. Infosys has also developed an application to let consumers in the store use their cell phones to get information such as store maps, or to access an online shopping list or collection of recipes ... "
Another system to track consumer behavior in retail. With cell phone connections for consumer services. Also, in E-Commerce News. A metaphor used in the article about this is interesting, that Infosys is trying to make the store into a web site. 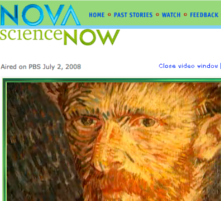 Their site is lacking for many details, but hints at advanced visualization of the data. They also have a set of still barely filled out blogs that track this effort. Steve King writes about some recently published reports on the sources of technological innovation. One result, that the number of innovations from Fortune 500 labs has dropped substantially. A sign of the success of open innovation? Update: Sammy Haroon also talks this topic. Another search experience that is worth a look: Viewzi. No claim that it is more complete than Google, only that it is more brand and marketing oriented. Nice visual interface, though there are complaints on how it works on some browsers. The WSJ's analytical blogger, the Numbers Guy discusses a new tool called policymap which " ... allows home buyers, real-estate developers, nonprofit groups and any other interested parties to map neighborhoods for free using a wide range of data, such as per-capita income, education levels and unemployment... ". More interesting image recognition work. Here low resolution images are analyzed to identify items. The article contains sample images. It takes surprisingly few pixels of information to be able to identify the subject of an image, a team led by an MIT researcher has found. The discovery could lead to great advances in the automated identification of online images and, ultimately, provide a basis for computers to see like humans do ... "
IBM labs has a project underway that seeks to archive human memory. Called Pensieve. 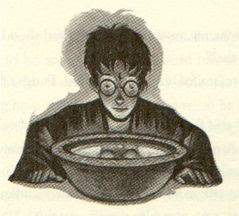 (A Harry Potter reference, it is a magical object that can store memories). The work appears to be similar in its goals to work Being done at Microsoft by Gordon Bell called MyLifeBits. Saw a presentation of that more than five years ago. The IBM idea seems more oriented towards mobile devices. This is the kind of memory augmentation that many of us could use. Juggling lots of data for multiple clients and contexts. Of course the bigger problem is finding exactly the information you need. The approach uses associative techniques to make the happen. And most diifficult, seeing when it might emerge from a large company's research lab. George Dyson, science historian and brother of writer Esther and physicist Freeman was the subject of the remarkable bio: 'The Starship and the Canoe'. In 1997 he wrote 'Darwin Among the Machines: the Evolution of Global Intelligence' which suggests that the Internet is a sentient, living being. He has written a short story now on The Edge that does a good job of addressing the idea of machine intelligence. Kroger, the $70.2 billion grocery giant with almost 2,500 stores in 31 states, has started a mobile coupon program that links the customer’s loyalty card (Kroger Plus, in this case) to a mobile phone ... "... Via Storefrontbacktalk. From Engadget. Efforts in this area have been around for some time. Has potential applications for smart packaging, labeling, integrated displays, etc. The inclusion of ambient intelligence of a number of kinds into materials. No indication of its cost or manufacturing requirements. More details. Have watched the development and reporting on 'printed electronics' but have seen little useful implementation to date. 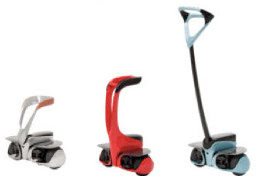 The Segway, though it is now well recognized by the public, has not become common as means of transportation. It is still largely used for it's novelty plus some specialized applications. It is not in many garages. Yet now Toyota has come up with another stand-up personal, people-mover: The Winglet. Here a test ride. And at Engadget. Though I don't believe either of these will succeed broadly, they are too expensive for one thing, they are pointers to future transportation modes. A video of the Winglet in action.
" ... Announcing Project Dogfood, an experiment in community website development. This is an innovative idea from a fast-moving company named CrossTech Media, which produces a new conference called New Marketing Summit. I'll be co-anchoring this event Oct. 14 and 15 at Gillette Stadium in Foxboro, MA along with bestselling author David Meerman Scott and social media superstar Chris Brogan ... "
Althouse discusses Slydial, which was brought up in today's NYT. A device to help you go directly to voicemail. She rightly brings up the point that there are positive as opposed to 'sly' reasons to go directly to voicemail. First wiring diagrams of the cerebral Cortex. It is a start, but not enough to simulate the brain. Google attempts a new transparency in its search algorithms. 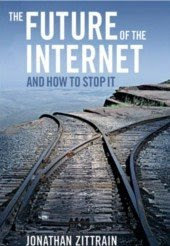 Read The Future of the Internet--And How to Stop It by Jonathan Zittrain. He is Professor of Internet Governance and Regulation and Director of Graduate Studies at the Oxford Internet Institute. His web site. Also the book's blog, which is starting to see some traffic. The first half of this book makes some interesting points about what he calls generative computing systems and how they have influenced innovation. Good history of this trend. Secondly he raises the alarm of how increasingly tethered systems, the IPhone is mentioned as an example, can limit the amount of innovation that is possible. The book is thought-provoking about the direction of the Internet. Later on he becomes a bit academic and policy wonkish and I think could have stated his fears more precisely. He is also one of the paticipants in an effort called Stop Bad Ware.